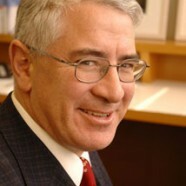 The principal of Goldie Corporate Counsel is Robert Goldie. Mr. Goldie is a senior corporate lawyer specialising in capital raisings, corporate governance, mergers and acquisitions, managed funds, securities licensing, corporate and commercial law. Previously he headed up the corporate division in Sydney of Piper Alderman, a national full service law firm, and prior to that he was a partner of Holman Webb, a well known and long established legal firm in Sydney. After beginning his legal career as a litigator in Sydney in the late 80s, Mr. Goldie worked in London with Bain & Co, a stockbroking firm, and in the early 90s was a principal lawyer with the Australian Securities Commission (as it then was) on its Rothwells Task Force in Perth, Western Australia. He went on from there to become the principal legal officer in Corporate Regulation and the Fundraising and Markets division of the Australian Securities Commission in New South Wales from 1992 to 1996, acting as Director of Markets and Director of Fundraising in New South Wales at various times. At the Securities Commission Mr. Goldie had responsibility for lawyers defending administrative challenges to Commission decisions, advising on the Commission’s proceedings before the Company Auditors and Liquidators Disciplinary Board, was a hearing delegate for the Commission on securities licensing disqualification hearings, and advised the Commission on nearly all major takeovers, initial public offerings and managed fund issues in New South Wales in the period. In 1996 Mr. Goldie returned to private practice in Sydney with Solomon Garland Partners, who subsequently merged with Gadens Lawyers. He has been the legal adviser on a number of large takeovers and capital raisings on the ASX and NASDAQ. Transactions include: Ozemail Ltd NASDAQ listing and takeover by Worldcom, Harvey World Travel initial pulic offering, Pharmaxis Limited float, Ord River Resources Ltd initial public offering and The Gribbles Group Ltd takeover. Mr. Goldie has also acted for clients on Government privatisations, including the acquisition of the Therapeutic Goods Administration laboratories in Canberra from the Federal Government by a private unit trust. He has advised energy and hospitality companies on the Trade Practices Act 1974 and has extensive experience in initial public offerings for telecommunications, mining, biotech, financial services and agribusiness enterprises. Mr. Goldie is an accomplished legal representative before all branches and bodies of the Australian Securities and Investments Commission including its regulatory policy bodies, disciplinary tribunals, investigatory hearings and licensing delegates. He currently acts for public and private companies, company directors, securities underwriters, financial advisers and fund managers advising on the Corporations Act 2001, ASX Listing Rules, Australian financial services licensing and corporate governance. Mr. Goldie is a regular lecturer in the Graduate Diploma in Applied Corporate Governance programme for Chartered Secretaries Australia on debt and equity fundraising , directors’ duties and remuneration. If you are interested Bob also has a personal weblog, www.bobsthrealm.blogspot.com, where occasional personal pieces on domestic, global and universal affairs are aired.